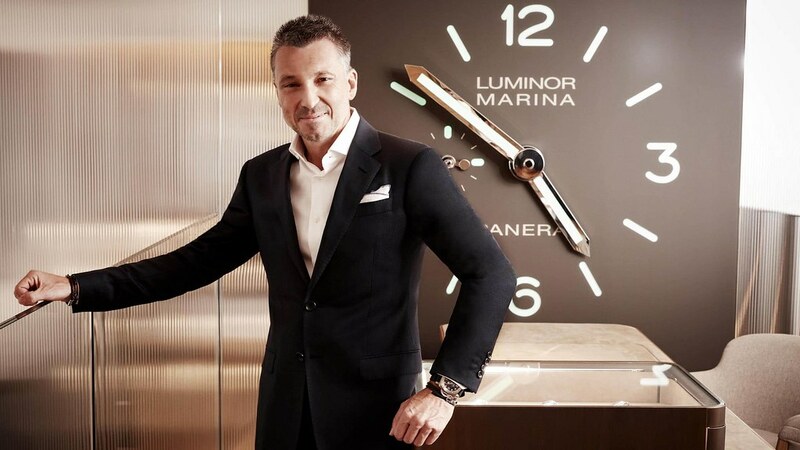 After successfully managing the Roger Dubuis brand for seven years, he was named director of the famous Italian brand Panerai last April. A challenge for Jean-Marc Pontroué who moves from a luxury watch brand to a brand whose production, according to our estimates (figures not disclosed by the Richemont group), would be around 70,000 watches a year for a public average price of 9000 euros. The next collection of watches that will be unveiled at the International Watchmaking Exhibition next January is already the one he has fully piloted with his teams. A man of marketing and products, this Breton, keen on marathons, trained at the Business School of Nantes in Business Administration receives a report at the Panerai factory in Neuchâtel. Meet. You left Roger Dubuis to take charge of the Panerai brand. How did you experience this change? Jean-Marc Pontroué: I consider it more difficult to leave Roger Dubuis than to go back to Panerai. But this feeling has prevailed at every brand change in my career. When you manage a brand, you have men, women, habits, landmarks. You know your projects. When you leave a mark, you leave an ecosystem, a language. This set is my life. And it is then that this new momentum is a real pleasure for me, a happiness to get up in the morning, otherwise I do not accept it. Did you want to take your ecosystem with you? An Italianity in Helvetia that I liked. Is not it complicated to manage a brand established in Italy and Switzerland at the same time? Of course it’s actually more complicated. But an easy business does not exist. It is a real wealth, on the contrary, since this Italianity is embodied in the products. The concept “Laboratorio di idee” attached to it is very original. All Panerai is in this concept. A brand is only worthy of its ability to differentiate itself from what exists and to invent modern stories that will allow its customers to project themselves. The Italianity of Panerai allows us. And of course its capacity for innovation, in terms of new materials and movement. But it must be understood in a very simple way by the customer. The complexity of the message is the worst enemy of a brand. What do you want to bring to the brand? A very advanced customer experience, a virus I had already caught at Roger Dubuis (laugh). But I will push the concept even further. I will apply it on the limited editions of Panerai, that the community of fans “Paneristi” makes live since always. You will have the product, and you will have the experience of living it, somewhere in the world, with Mike Horn, Guillaume Néry or Italian commandos, for example, to live the world of the watch. Panerai has always been the favorite brand of Johann Rupert, the main shareholder of the Richemont group. Does this represent additional pressure for you? What means do you want to put in research & development at Panerai? We are one of the brands that spends the most on R&D. We have a team of 50 people in this department. And we must accept that of the 50 projects launched, 47 will not succeed, although it costs us a fortune to develop. We will continue in this direction. Because it will be the ideas of tomorrow and the day after tomorrow. It is “The laboratorio di idee”. But the classicism of Luminor and Radiomir will obviously continue. We will intensify what makes their surplus value: lightness, impact resistance, tightness, reliability, resistance to temperature. 100% of our watches are tested in all conditions. What was your observation on the industrial part of the brand? Panerai was a brand that featured a number of concepts with predefined quantities. Today, efforts on the “supply chain” are on the agenda, on quantities related to demand. We have a network of 80 shops whose daily sales rate we have. It is a work that we are putting in place, and that requires skills, and means. Would you say that the brand was run in the old fashioned way? It was managed like 80% of the brands of watches still today, which they do not have the chance to have a retail network at this point developed. The data exists. You just have to know how to manage and use it. But most of my time, I spend it on the markets, talking with our customers. The journey always enriches me. Exchanging with a multi-brand retailer is very useful. It’s the only one who can really tell you your strengths and weaknesses by comparing yourself to others. How would you define this Italianity? 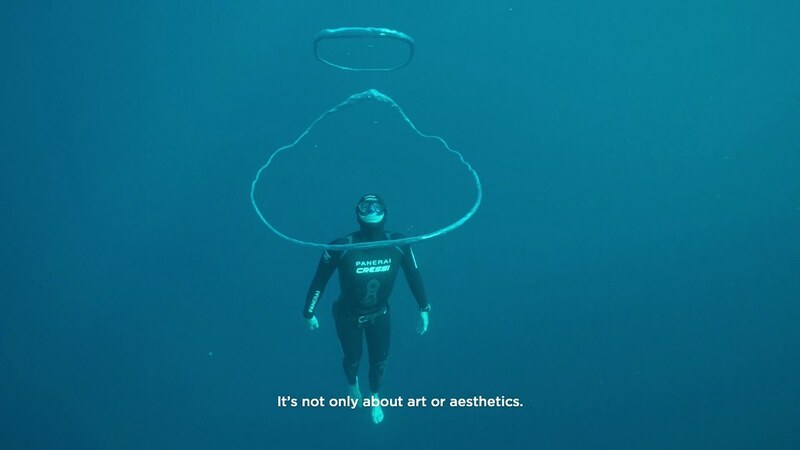 Panerai is a serious brand, which sees in the long run, but with style, a unique beauty of materials, for example in the bracelet, without ever falling into the eccentric. Italianity is also unbeatable sympathy capital. Is the management of the wishes of Paneristi, very attached to the brand, been delicate? But I have spent my life beating myself! The one who succeeds his career without fail, I do not know him … What is needed is to know not to persist in failure. But we must take risks and not just “safe”, an absolute tragedy in many sectors of activity today. We want to be assured of everything. On the contrary, at Panerai, everyone takes responsibility. I will never blame someone who takes risks and lives a failure. At Roger Dubuis, on a collection. It was gigantic. Fortunately nobody remembers it. But I also learn many other sectors of activity that watchmaking, including automotive, aeronautics, the press. Moreover I launched the “3 minutes CEO talkshow” that I record in Milan and which is distributed in the world near our teams, that compose 750 people. An idea that was given to me by the boss of Gucci. Moreover, I will reveal that we will be the first brand of the group to have an artistic director, Alvaro Maggini, who worked at Roger Dubuis. Panerai is only good if it’s a statement. This is not a product “Me too” that appeals to old people, young people, everyone. No. This is the trap! In a brand, it’s like in a marathon, you do not look at how you run, but how you position yourself relative to others. Did you find a healthy brand on arrival? Yes. We opened Ginza and soon Chicago, Rome; our growth in retail is more important than the wholesale, while maintaining it. We have 500 doors in the world. With one point in sight: outperform the market in all cities. We must compare ourselves. This is the key. The great strength of Panerai is the style thanks to Italy, and the watchmaking innovation thanks to Switzerland. Angelo Bonati, the man who made the success of Panerai, told me, the day we met, the importance in his eyes not to compromise on quality, distribution, impose his points of view. It’s essential. He made me aware of the balance and strength of the 750 people who make the mark. What is your ambition for the brand? What is your perspective on watch fairs? When it’s a volume brand like Panerai, which makes a part of its turnover with multi-brand retailers, it’s essential. And a real comfort to see so many people over four days. And that’s fundamental to the dynamism of the watch industry.